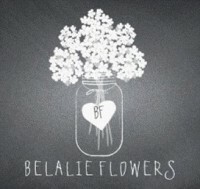 Belalie Flowers can assist you with spoiling loved ones with a precious plant, posy, arrangement for any special occasions. With over 40 years of experience, Clare Valley Flowers have decorated hundreds of events from weddings and corporate events, and events like the 3 day International Horse Trials. When it comes to flowers there is nothing that Clare Valley Flowers can’t do for you. And being a member of Interflora, we can arrange flowers almost anywhere. We also have a fantastic array of chocolate, balloons, jewellery, baskets, pamper packs, nappy cakes, soft toys, even champagne. Our friendly and experienced staff will help you choose a wonderful arrangement for any occasion and we deliver throughout the Mid North.